This tea pot is very nice ! Perfect size !! Order arrived promply! Was even better than the description was. I got this for my mom, and she loves it. The fold down handle makes it even easier for her to pour the water into. Also, she loves that she can flip open the spout once it starts whistling, and can keep it boiling for as long as she likes. Love it all the way around!!! I like the kettle. Would've gave it 5 stars if the spout wouldn't leak when you pour hot water into cup. This tea kettle is very this in materials and quite smaller than expected. We sent it back immediately because of the lack of craftsmanship and quality for the price they offer. Just because it reminded me of the good old days. It sounds like what I want. I hope I will be satisfied. Mom has been looking for a new teakettle and can't find one she likes. Maybe this one will do. I need a whistling kettle to remind me of something on the stove and I trust Walter Drake as a satisfied customer. We needed a new tea kettle and this one is bigger than our last one. 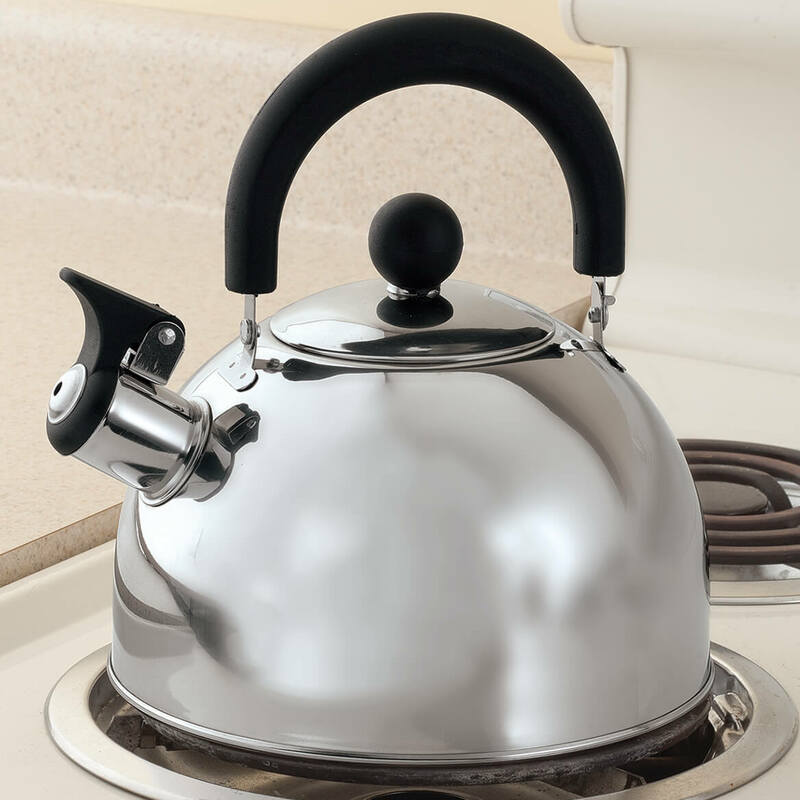 I had one similar to this tea kettle and was looking to replace it. I really like this type and style. I needed to replace the teakettle that had served me for many years. Microwave doesn't beep when through. I often need hot water for my instant coffee, tea, or cocoa. Sometimes when I remember cup, contents are already cold. Often when I heat a cup of water in the microwave, since it doesn't beep, I wait too long to get it and the water is not hot. 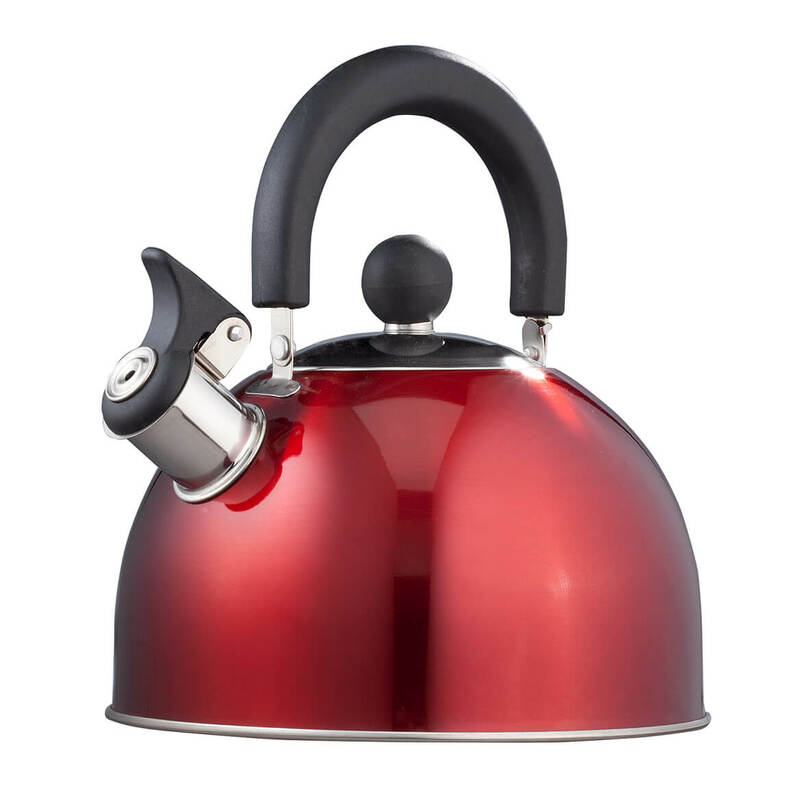 This whistling tea kettle will definitely get my attention. I just lost my 60 year whistling tea kettle and needed a new one for tea. My electric kettle died and I couldn't boil water. All items are for my mother who is not able to get out and shop"
Needed a nice tea kettle. It works very well. I was unable to find it in stores in my area. My previous tea kettle no longer has a flat base and does not sit properly on the stove......it is time for a replacement. Where was this product manufactured? BEST ANSWER: There is not a place of origin on the tea kettle, but about a month after I received mine it started leaking at the bottom and would not whistle. This is the only problem I have had with Walter Drake products. It really does not have a marking on the Kettle, but like almost everything we buy it probably comes from China. Thank you for your question. It is manufactured in China. We hope this information will be of help to you. Will this work with induction stove tops? BEST ANSWER: Thank you for your question. Yes, this will work on the induction stove top.We hope this information will be of help to you.